Our new PrimexPROBE with CertiTrak Calibration Certification Tracking eliminates the need to manually track calibration data and lifespan of your temperature monitoring probes. Documentation of probe calibration to NIST standards, as well as probe replacement policies and procedures, are required by the CDC and other authorities having jurisdiction (AHJs). Our new PrimexPROBE with CertiTrak Calibration Certification Tracking eliminates the need to manually track calibration data and probe life of your temperature monitoring probes. 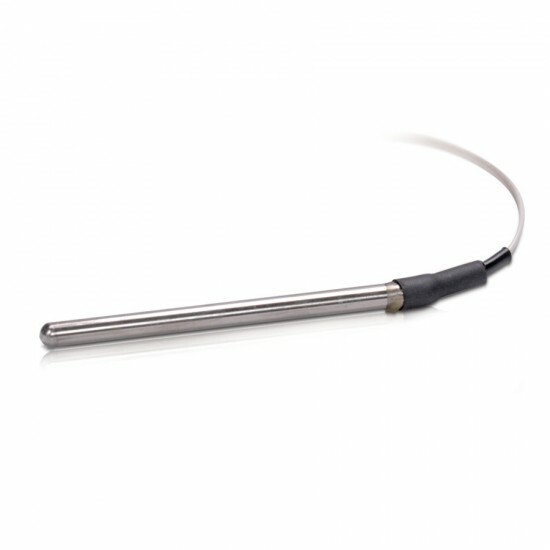 Using patent-pending technology, each probe activates CertiTrak when the probe is initially inserted into a PrimexTEMP sensor and put into service. CertiTrak links a unique Certificate of Traceability and Calibration Testing to each individual probe within the OneVue software. The certificate provides all the data required for compliance to guidelines issued by the CDC and other authorities having jurisdiction. A record of the last calibration testing date for the individual probe, the date it was put into service and the days until the next calibration testing is due (or probe replacement) are all linked to the probe record in OneVue. The unique Certificate of Traceability and Calibration Testing (Calibration Data Report) is available with just one click on the probe serial number. A Probe Replacement Status Report makes it easy to plan when to change out a probe, allowing you to manage inventory and replacement costs more effectively.